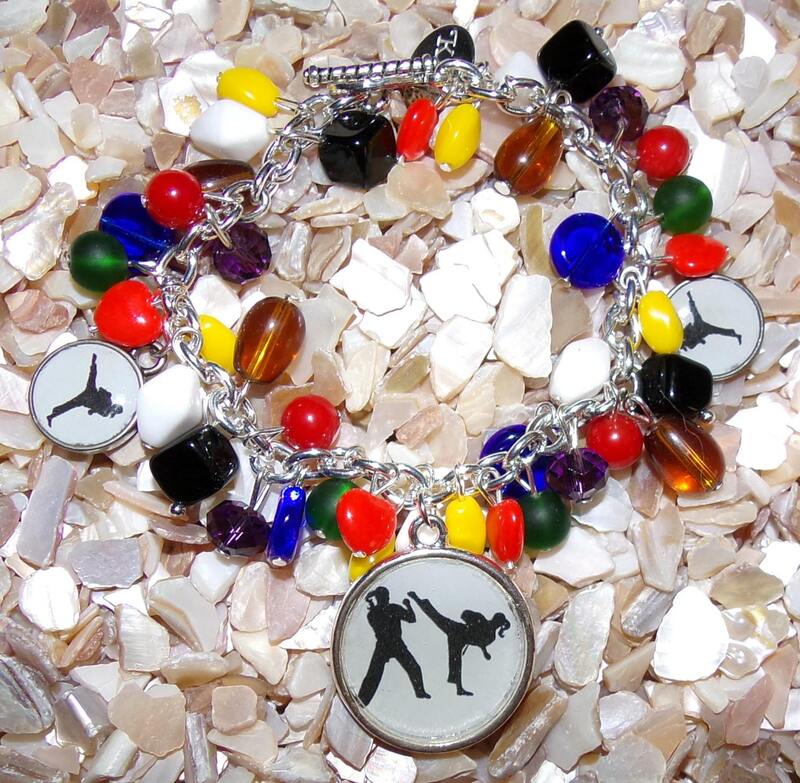 This Karate Bracelet is made with colors of Karate Belts with Karate charms. 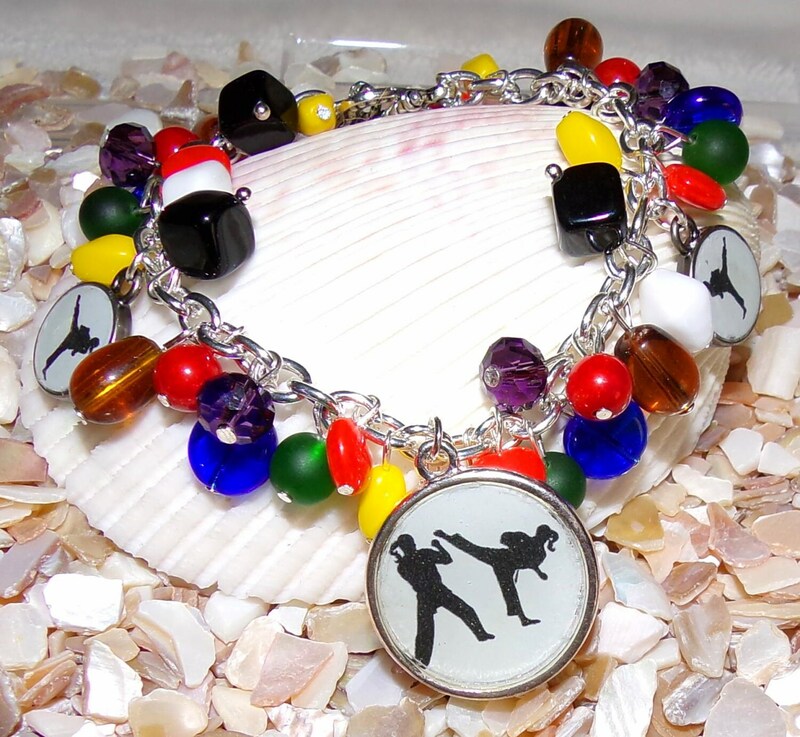 Bead shapes may vary depending on availability. 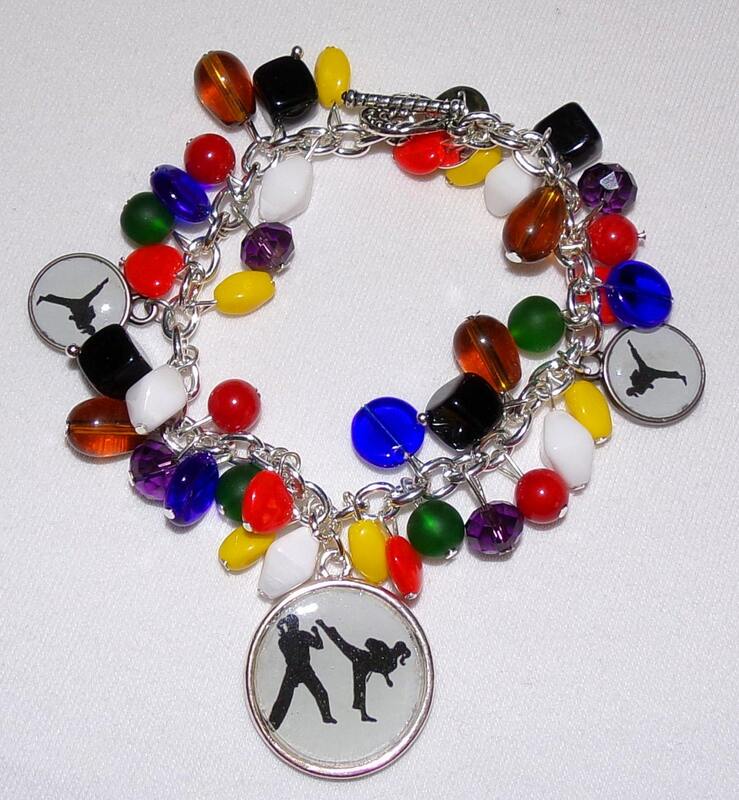 If you would like a bracelet with different beads and/or charms, please send me a message.